S&P 500 returns for the quarter, in isolation, were the best since the third quarter of 2009. However, viewed in the context of the abysmal fourth quarter of 2018, the markets recovered from oversold levels fueled by fear of recession, swinging to fear of missing out (FOMO) in the new year. Though a rapid and significant recovery from December lows, the broader S&P 500 has not recaptured its all-time highs set in the summer of 2018. Inverted Yield Curve: Harbinger of Recession or April Fools? The first quarter of 2019 is in the books. In isolation, the quarter’s S&P500 returns were the best since the third quarter of 2009. However, viewed in the context of the abysmal fourth quarter of 2018, the markets recovered from oversold levels fueled by fear of recession, swinging to fear of missing out (FOMO) in the new year. Recently, heightened recessionary concerns are creeping back to center stage as markets digest a yield curve inversion. A local radio show host, “The Money Doctor” William Neil Gallagher, was charged and arrested for allegedly operating a $19.6 million Ponzi scheme since 2014. Turns out “The Money Doctor” lived in our community, had an office located in Hurst of Northeast Tarrant County, and exercised at the same fitness center as myself (at least I tend to make it in on occasion). This day and age, managing online account logins, passwords, and URLs is one of the most important life skills you can have. 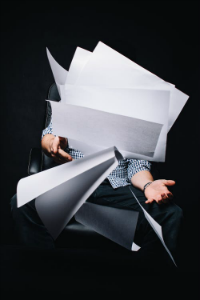 It is debilitating to be unable to access information quickly and efficiently. Successful individuals have a method for managing their online information. The 2018 Tax Filing season is the first season under the Tax Cuts and Jobs Act. Taxpayers are hoping to see larger tax refund amounts under the TCJA. Last week CNBC reported that the average tax refund check is up 1.3% from last year, most checks totaling $3,143. Time will tell if the TCJA was the boost it was touted to be for taxpayers. A busy 40- to 50-hour work week, kids that need shuttling to and from school and extracurriculars … and a gradually decreasing metabolism. Sound familiar? Young, working couples with no kids may have more time to be active and healthy. Long morning walks. Three trips to the gym every week. Playing organized sports with friends. Cooking their way through gourmet recipes. Then life happens. 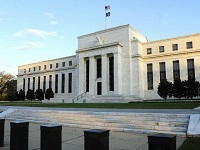 Last Wednesday the Federal Reserve released its meeting notes from its January Jan. 29-30 FOMC Meeting. This meeting was significant in that in spite of solid domestic economic fundamentals, the Fed announced that going forward it would be taking a “patient” approach in light of increasing downside risks, notably slowing global growth and turmoil in financial markets. “No Filter” is the appropriate name of the Rolling Stones current tour. 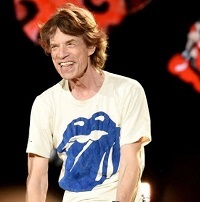 At 75, Mick Jagger was quoted in Rolling Stone saying, “I’m not thinking about retirement.” On Friday, Factset released an earnings season update. With 79% of S&P 500 companies having reported results for Q4 2018, earnings are growing, albeit at a slightly slower pace. At 16, the forward 12 month PE ratio is lower than the 5-year average and above the 10 year average. We tend to overestimate what we can accomplish in the short-term and underestimate what we can accomplish in the long-term. The frustration that results is one big reason why so many New Year’s resolutions die before Spring. But if you use these key strategies that are supported by deeply-held values – and science! – you’ll set better goals, achieve them, and feel better about yourself while doing so. This past week I attended Kestra’s annual conference. One of the presenting market strategists was Dr. Claus te Wildt, Senior VP, Capital Markets Strategy at Fidelity, whom I have heard for many years. The theme of his presentations was, “It’s Probably All About Trade.” As every market strategist, Claus began by acknowledging the late cycle nature of the economic expansion, tighter labor markets with rising wages; rising interest rates and a flattening yield curve. It’s never been easier for adults to continue to learn after completing their formal education. Online universities, TED talks, “master classes,” podcasts, and even curated YouTube playlists put world-class professionals, teachers, and thinkers literally at our fingertips. Are you taking advantage? Throughout the fourth quarter of 2018, the rookie year Fed Chair had fumbled signals to the markets which intensified the fretting about the long running economic expansion’s demise. The White House and many market pundits openly criticized Fed policy and hyperventilated that the Fed was going too far and too fast with rate hikes. Recession and credit Armageddon were on the field! Last week the market held just above its 50 day moving average but made little progress towards regaining its 200 day average, Q4 earnings reports were overshadowed by headlines regarding the Government Shutdown, Trade talks with China and Global Geo-political events. Here are three things I found of interest and entertainment value last week. Last week the S&P 500 posted its fourth straight week of gains, the longest string of positive weeks since August. Below you can see the deep “V” from the not so Santa Claus Sell-off. The index has regained its 50-day moving average but is still beneath the 200-day moving average. Uncertainty still abounds and volatility will likely continue, but the New Year has turned down the volume of late December’s recession narrative. I found this interview with Jeff Vinik on CNBC last Thursday of special interest. In this interview, Vinik discusses his outlook and rationale for the equity market over the coming years. I am aligned with his thinking. Here are the highlights I took from the interview. Happy New Year! 2018 was not so happy for investors. In fact, the US stock indexes closed with the worst yearly losses since 2008. Attached is a market review with all the facts for the fourth quarter and calendar year 2018. Working through this simple checklist with your spouse will minimize your own regrets, assist your budgeting, and help you both sleep a little better … that is, when the baby lets you. A blank calendar filled with nothing but free time can be every bit as stressful as a packed work week. That’s the surprising fact that many new retirees confront after a few days of hitting the snooze button and puttering around the house. Here are some ideas for creating a new retirement schedule that will keep you growing, learning, experiencing new things, and making meaningful connections with your community. The phrase “credit card debt” usually triggers red flags when we’re talking about long-term financial planning. And in fact, the average US household now carries $15,654 on their cards, and pays $904 annually in interest. But debt, in and of itself, isn’t good or bad. Instead of making a value judgment about how you use debt, when working with clients we like to understand a number of factors to help us do a better job positioning their resources to work more effectively for them. Fewer people will likely be itemizing their deductions in 2018 because of the Tax Cuts and Jobs Act (TCJA) of 2017. If you are under the standard deduction limit, are charitably inclined and have appreciated securities or cash you might consider “stacking” multiple years of charitable contributions into one tax year. You can accomplish this using a donor-advised charitable fund. What are we saving FOR? Many new investors come to their financial advisors with a number in mind: “I want to save $1 million before I retire.” There’s even something of a fad among millennials who work as hard as they can, save as much as they can, and try to retire before age 50. Incorporating charitable giving into your financial plan is a great way to make sure that your generosity is aligned with the things that are most important to you. Some forethought about these key issues will also make sure that your good intentions don’t throw off the rest of your long-term planning. Financial planning is more than just a series of savings and investments you lock away and forget about. Your money doesn’t exist in a vacuum. Your financial needs are going to fluctuate in response to the transitions that we all go through as we work, raise our families, and look ahead to retirement. Managing these transitions is one of the keys to maximizing your finances and to achieving a greater Return on Life™ (ROL). In the third quarter, the word “divergence” became the word of choice for market pundits describing the significant performance gap between the US stock market and the rest of the world’s equity markets. Sharing our thoughts as Q3 2018 comes to a close. When Will You Retire? Really? 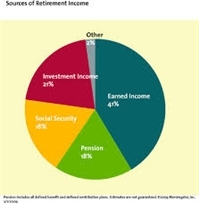 Comparing the expected retirement age to the average reported retirement age for Americans currently retired reveals that people who were expecting to work longer tend to retire before they expected to do so. Evaluate your retirement and the impact of potentially leaving the workforce sooner than expected or later than expected. Successful financial planning involves more than the balance in your portfolio. A strong financial plan represents what is important to you as an individual—in other words, your Fiscalosophy. Your individual backstory can have an impact on how you think about money and investing. These stories are an essential part of your Fiscalosophy. Ignore the news feed and the tweets. 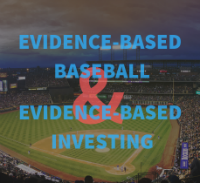 Keep your eye on the ball: presently economic fundamentals are terrific, the economy is accelerating, corporate earnings growth has been strong, and investors are skeptical (that’s a good thing). Today, people are starting to ask a new question about their financial plan: “Am I getting the best life possible with the money I have?” Instead of focusing exclusively on their traditional return on investment (ROI), these folks are starting to focus on their Return on Life ™ (ROL). But how do you know if you are getting a good ROL? The start of September brings the anticipation of postseason major league baseball. My Rangers are in the cellar of the American League West. 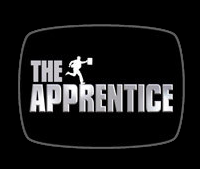 So, I’ve adopted the Oakland A’s as my team for the postseason. Why the A’s? Well, it has a lot to do with their player selection strategy. 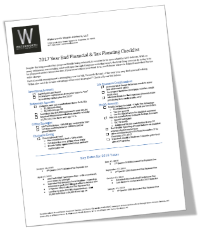 Whatever your situation, it usually pays to evaluate your tax outlook and plan before the end of the calendar year. If you wait until filing time, it may be too late! The newly enacted National Council for the American Worker has created the Pledge to the American Worker. Over the next five years they, along with several Fortune 500 Companies, pledge to create over 3.8 million new jobs but also to provide much needed job skills training programs to previously sidelined job seekers and those entering the workforce. This past week we conducted our first workshop for the “Young Adults Financial Skills” summer series. 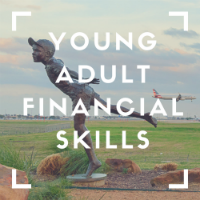 These free, interactive workshops are geared to twenty-somethings looking to gain and build fundamental personal financial management skills. 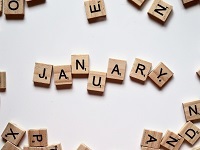 The first six months of 2018 have provided investors ample grist of the mill as they evaluate the economy and capital markets. Let's consider three: job reports, trade policy, and Federal Reserve policy. 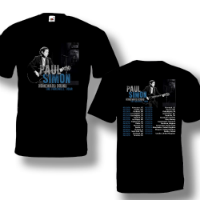 Went to the show and got the t-shirt! 529 College Savings Plans were designed to encourage saving for college costs by offering tax-free investment growth, as well as, tax-free withdrawals for qualified higher expenses. First introduced to the tax law in 1996, 529 Plans have gone through several iterations, the most notable being in December of 2017 through the passing of the Tax Cuts and Jobs Act (TCJA) which expanded their use to K-12 education expenses. Whether you’re in career transition or considering early retirement, you may be evaluating options to generate income. Drawing down your cash savings, utilizing a line of credit, or even liquidating some taxable investments are usually a good place to start if you need cash to make ends meet for 1-6 months. But if you need a longer-term income solution, and the bulk of your savings are in retirement accounts, generating a steady income from an IRA or even a 401K might be your answer. Where's New Technology Taking Us? The big growthy tech companies, in my opinion, have been the recent bull markets superstars, but where is all this technology taking us and is it where we really want to go? 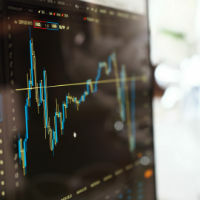 After a stretch of relative calm and strong equity market returns, the recent increase of stock market volatility may have you feeling a bit anxious. Here are a couple of thoughts that may help: Think in terms of percentage moves in index values, while considering the facts about historical intra-year declines. 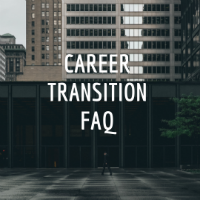 While in career transition you may be wondering should you, and could you continue to save for retirement? Be mindful, in career transition cash is king. You probably don’t know how long a career search will last and you don’t want to leave yourself short of cash! Don’t rely on the notion that you may be able to borrow if things get tight later. Consider the following when developing a savings strategy. 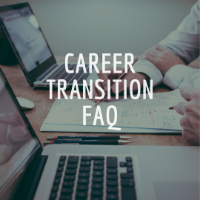 Career Transition FAQ - What Happens to My Social Security Benefits? Downshifting a career and earning less in wages can impact Social Security retirement benefits. Calculating an estimated benefit, as anything to do with Social Security, is not the most straightforward question to answer. Is it Time to Update Your Beneficiary Designations? Estate planning and retirement planning go hand in hand. Keeping these two parts of your financial plan aligned is essential to pass assets to your beneficiaries as you intend. 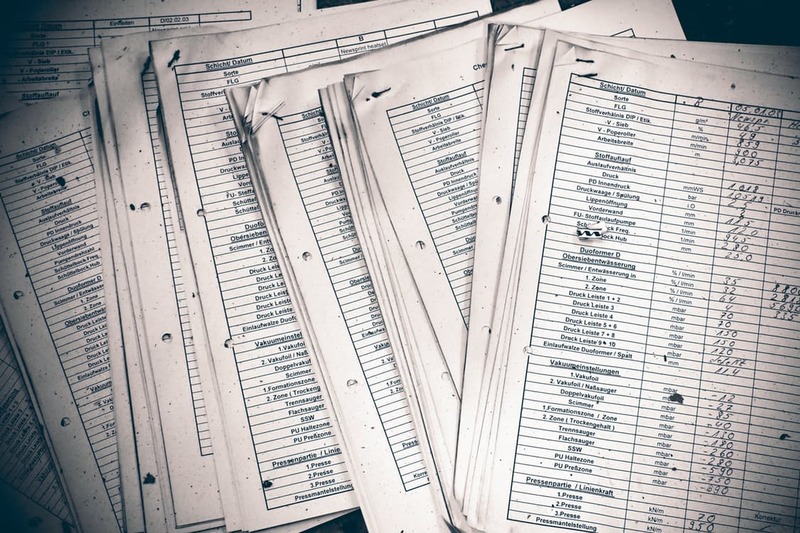 Many find themselves confused about what their estate documents (wills, trusts) and beneficiary designations actually do upon their passing. Despite the long awaited tax proposal finally being released, it remains to be seen what the GOP delivers. 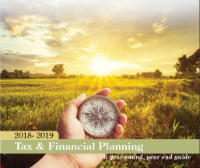 With so many unknowns surrounding what will pass through Congress and what won't, the best thing you can do today is to be prepared under current tax law. If you know where you stand now, you'll know where to begin if and when the tax rules change. An iPhone X? An Apple Watch? An Alexa? A Future? Many grandparents believe that the best gift is that of a brighter future through education. Depending on whether you are saving toward future college expenses or your grandchild is already enrolled; there are unique gifting considerations for grandparents wishing to help with the expense of a college education. Not only will you be helping give your grandchildren a firm foundation for the rest of their lives, you could be making a savvy tax-savings move. If you are age 55 to 59 in the year in which your employment is terminated, be that through a layoff or entering retirement, think long and hard before you decide (or someone attempts to convince you) to roll your 401(k) plan balance into an IRA. With a new major data breach announced seemingly every other week, it's likely that we will see an increase in identity theft-related crimes in the upcoming 2017 tax season. Putting off filing your tax return leaves the door open for criminals that have hijacked your identity to file a false tax return claiming a refund. As the name implies, deferred compensation is a written plan that permits setting aside a portion of one's income to be paid at a later date. For many executives, this can be a tax-wise strategy. 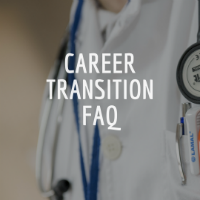 Career Transition FAQ - Are Health Insurance Premiums Taxable? Many employers offer to pay part of their employees’ health insurance premiums as part of a benefits package. 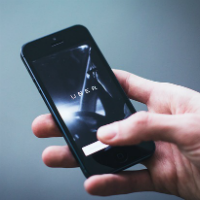 Upon termination, some employers continue to pay that premium as part of a severance package, prompting many in career transition to wonder if these payments are now taxable due to their employment status. Cybercriminals are targeting financial services firms with a rash of fraudulent wire transfer requests sent via email. 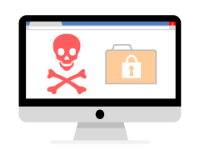 What we do to protect client assets and what you can do to keep scammers out of your email. 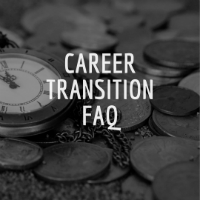 Career Transition FAQ - Should I Pay off Debts Now or Later? 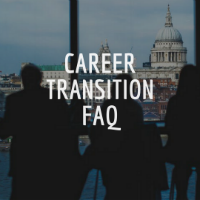 Career transition comes with a fair amount of uncertainty. You probably do not know what your new role will be, when you will start your new job, or how much you will make. You may not even know where you will live as a result of accepting a new opportunity. During any period of life transition, such as navigating a job change, cash is king! Cybersecurity: You’re Not Paranoid If Everyone’s Out to Get You! Over the past two weeks, there has been a lot of disturbing news on the consumer cybersecurity front: Equifax breached, concerns over Kaspersky's ties to Russian Intelligence, and CCleaner installing malware instead of making your computer work faster. So what can you do to protect your private and personally identifiable information? Data leaked from the Equifax attack? Here’s what you need to do. Nearly 1 in 2 Americans are affected by the data leak from Equifax, a consumer credit reporting agency. Equifax shut down the cyber-attack when upon its discovery on July 29th, but it was too little too late. Here's what you need to know if you think your personal information is at risk from the data breach. Since their inception in 2003, Health Savings Accounts (HSAs), have seen rapid growth as more and more individuals take part in their triple-tax advantages when it comes to saving for health care costs during retirement. We dispel six common misconceptions about HSAs. Health care costs and its complexities is a huge societal and political dilemma in our country, and there is no resolution in sight. As health care reform drags on, HSAs will become more common as citizens become more aware of them and their triple tax benefits. To be eligible to contribute to an HSA, you must be enrolled in a high deductible health plan (HDHP) and not enrolled in Medicare. The cost of healthcare is a growing concern, especially for retirees.In our financial planning discussions with clients, we generally encourage them to plan for around $250,000 (today's dollars) of health care costs throughout retirement. With medical costs on the rise, there is a little known, once-in-a-lifetime opportunity to fund an HSA with an IRA rollover. Health Care and a Tax Break - Is It Possible? How can you get a tax deduction and save for health care expenses in a tax-favored way? HSAs combined with a high deductible health plan (HDHP) could be worth considering as a way to save on premiums and save in a tax-favored way for future health care expenses especially if you are a participant of a HDHP. Hackers love to take over email accounts to spread spam containing malware and fraudulent website links to everyone in your contact list. 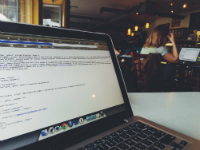 Knowing what to do when your email account gets compromised is essential to mitigate damage to both your computer data and that of your contact list. You're about to receive a distribution from your 401(k) plan, and you're considering a rollover to a traditional IRA. While these transactions are normally straightforward and trouble-free, there are some pitfalls you'll want to avoid. Global Diversification: What’s your Bias? Harry Markowitz, the Nobel Prize winning Economist and pioneer of Modern Portfolio Theory, has been credited for saying that diversification is the only free lunch in investing. Markowitz’s theory proved that by mixing stocks and bonds you can expect a higher return with less risk. What’s not to like? Broad diversification, however, is much more than simply buying bonds within a stock portfolio. According to Dr. John Gray, Men Are from Mars, Women Are from Venus, but how on Earth are they different when it comes to finances? If you are looking forward to retiring, think about how work will be integrated into your life going forward. Many people don’t do this assessment before retiring––only to end up going back to work in some capacity because they realized they were missing out on the psychological benefits of work. Capable adult children that are financially reliant upon or needing to be bailed out by parents are not new, but data suggests this trend is growing at an alarming rate. 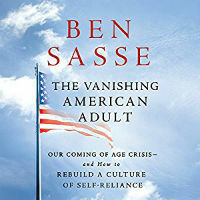 Are more of today's youth destined for an extended adolescence? Should more parents plan to financially provide for their children longer? ROL is defined as, ‘How well you are doing in living the life you want, with the money you have.” The best financial conversation you will ever have is to ask yourself, “Who and what really makes me happy in life?” and then arrange your finances to keep those people and experiences front and center in your life. The people who commit the crime of phishing are becoming more clever every day about their tactics to trick and scam a user. Using different social engineering tools, these phishers are able to successfully trick ten percent of users who receive their emails. To avoid being the ten percent that take the phishing bait you can look out for several dead giveaways in the email that will leave you off their hook. Neglecting to safeguard your internet connection and browsing activity is not a route to take this day and age when cybercrimes are on the rise and more activities, business, transactions and communication is doing online. VPNs or hotspots are ways to safeguard your online activities from hackers and security your privacy. 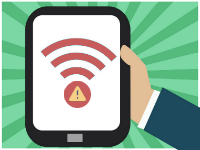 Think twice before connecting to a free public hotspot at the airport, hotel, or coffee shop. Cybercriminals often use these to spy on users to gain account names, passwords, and other sensitive information. Setting up your own hotspot is a simple four to five step process that provides peace of mind when accessing the internet. When it comes to retirement, it's easy to dream about the perks: sleeping in, traveling, reading a good book, playing golf - name your fantasy. Even if your retirement is fully funded, the reality can be far less fulfilling if you don't plan ahead. Repeated studies have shown that people who do not have a rewarding retirement can suffer both physically and psychologically during retirement. Public Wi-Fi is available at many locations such as hotels, restaurants, airports and your local Starbucks. These public Wi-Fi spots are desirable for users, as the networks are easy to log into without being aware of the potential consequences. Users typically do not need a password to get on the network, therefore anything a user does via public Wi-Fi is anonymous. Whether you've been told you should retire at 62, 65, or some other age, only you can decide what is right for you. In fact, you may want to reconsider retiring at all - at least in the traditional sense. Do you know who have become favorite targets for identity thieves? Children. Because most people don't think about their children having a credit history, it could be years before the theft is discovered. Recently, and somewhat ironically, cybercriminals claiming to have stolen Disney’s Pirates of the Caribbean 5 installment demanded ransom payments in Bitcoin, a hard to trace cryptocurrency. If they weren’t paid their ransom they threatened to incrementally release the film. Oklahoma University's Bob Stoops suddenly announced his retirement last week to the shock or delight of many (depending on how you feel about OU). I wish him all the best in retirement, but the track record for football coaches "retiring" is notoriously poor. They just can't seem to stay away from work! As a small business owner, you would like to offer your employees a company retirement plan. The option with which you are probably most familiar is a 401(k) plan. Since their creation in the 1970's, 401(k) plans have grown tremendously and have replaced pension plans as the retirement vehicle that most Americans will depend on. While a 401(k) plan can benefit both the employee and employer, it can be expensive and require a great deal of administrative work for a small business. 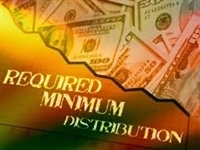 A Required Minimum Distribution (RMD) is the amount of money that the US federal government requires you to withdraw each year from traditional IRAs and employer-sponsored retirement plans. According to a retirement security data brief issued by the Urban Institute about half of the unemployed Americans over the age of 50 are out of work for more than six months. In addition other studies show that for many that bout of unemployment can last much longer and when they do get reemployed it is often at a pay cut of 20 to 36%. There has been quite a lot of teeth gnashing in the financial services industry over the past few years regarding the new fiduciary rule. 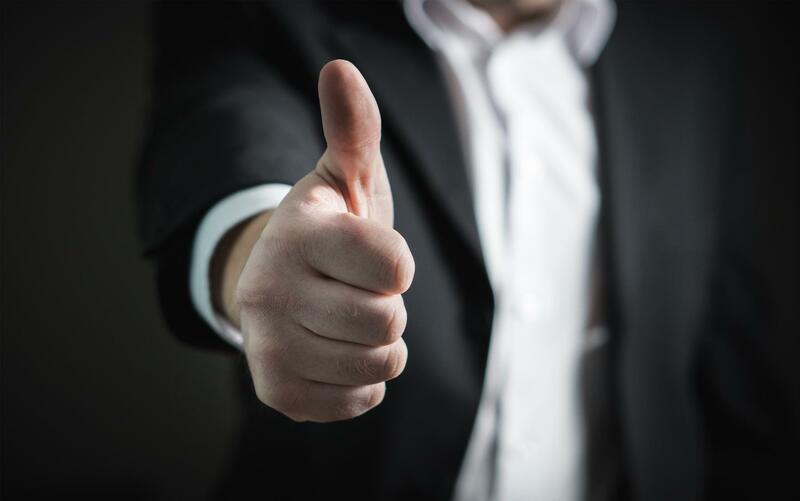 The Department of Labor (DOL) had been proposing, and has now since implemented, a very significant rule change to promote the provision of investment advice that is truly in the best interest of retirement investors. Health care costs can take a much bigger bite out of their budgets than most retirees expect. Why Open a Roth Ira for your Child? A Roth IRA for a child with earned income can be very attractive. There's no minimum age to set up a Roth IRA, and many IRA providers will accept accounts for minors. 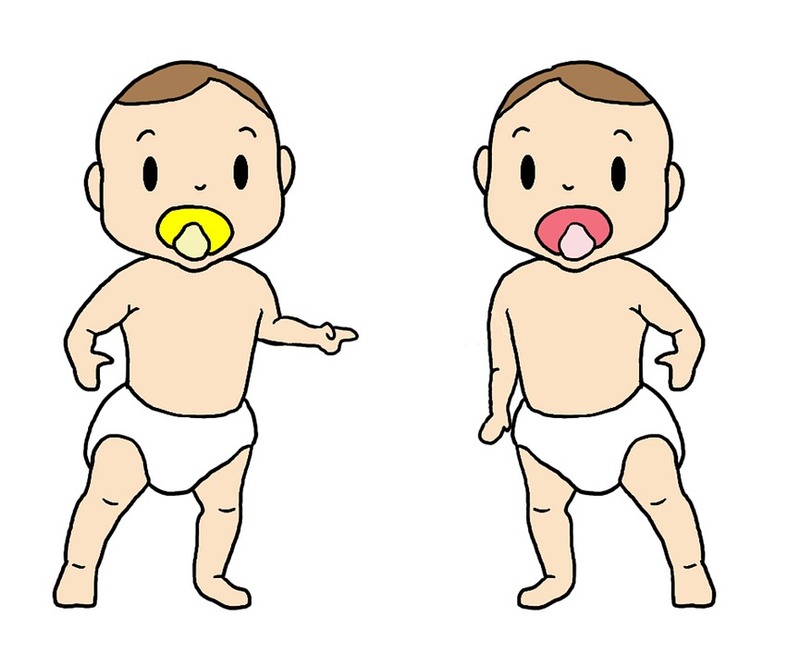 In most cases, the only issue is whether the child has taxable compensation. What is the best legacy a grandparent can give? Many believe that the best gift is a brighter future through education. Depending on whether you are saving toward future college expenses or your grandchild is already enrolled, there are unique gifting considerations for grandparents wishing to help with the expense of a college education. Some retirees are able to live solely on the earnings that their investment portfolios produce, but most also have to figure out how to draw down their principal over time. Even if you've calculated how much you can withdraw from your savings each year, market volatility can present a special challenge when you know you'll need that nest egg to supply income for many years to come. Losing a Loved One - What am I Supposed to Do? First of all, breathe. You have suffered a loss and need to process your grief. Don't feel rushed into making any decisions. 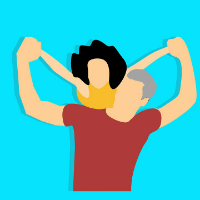 Of immediate concern is the security and safekeeping of assets and the custody and care of minor children and other dependent family members. Focus your attention on the issues at hand: dealing with medical personnel, funeral arrangements, and your family. 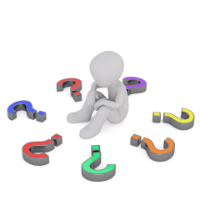 Question: What questions should I ask when choosing an investment adviser or financial planner? 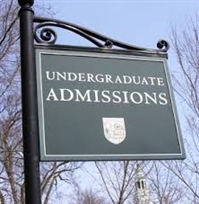 If you are a 13-16 year old future college student (or the parent or grandparent of one), it's time to think about the college admissions process! Are You Overpaying for Life Insurance? Though a market downturn generally isn't fun for most people, its timing can have a greater impact on some investors than on others. For example, a market downturn can have greater significance for retirees than for those who are still accumulating assets. Imagine getting a notice informing your six-year-old that he missed a mortgage payment. It seems ridiculous, but is not a laughing matter. Stealing identities has shifted to a new demographic: children. A study by Carnegie Melon University showed children are 51 times more likely to have their identity stolen than adults. Independent research firms have estimated that up to one out of every ten children in America has had their identity used by someone else. If you're like most people, you probably evaluate your portfolio in terms of its return. However, return isn't the only factor you should consider; also important is the amount of risk you take in pursuing those returns. The term "risk" is often understood to mean the risk of loss. 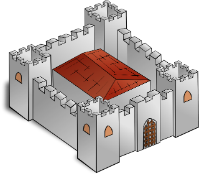 However, a portfolio is generally a means to an end, such as paying for retirement or a child's college tuition. In that context, "risk" also means the risk of not meeting your financial needs. Today's children and teenagers earn, save, and spend more than any previous generation. Kids want things and are willing to spend their money (or their parents' money) on these wants. According to 2010 YouthPulse projections, 8-21 year olds will spend $123.5 billion – an $11 billion increase from 2009. Not only do they have more to spend, kids develop their spending habits at a younger age—facts that have not gone unnoticed by advertisers!